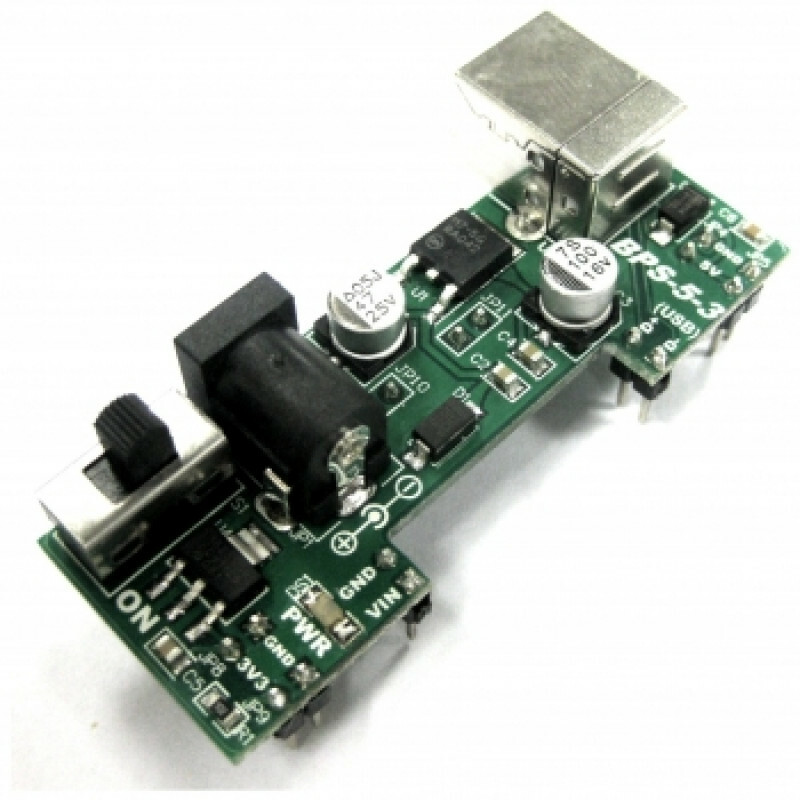 The IR Sensor Set, SN-IRS-01 consists of an IR transmitter and an IR receiver mounted side by side on a tiny PCB. With minimum interface and 5VDC power, it can be used as a reflective type IR sensor for mobile robot or low cost object detection sensor. Now, let’s take a look on the working concept of this pair of sensor(It if also applicable for IR Sensor Set with Socket, SN-IRS-02). Bear in mind, it is yet a complete sensor. Just I highlighted, it is just a combination of Infrared transmitter and Infrared receiver, we will need to some interface and design to enable it become a sensor. Let’s get the necessary hardware. First let’s look at the connections. This picture shows the connection as above. SENSOR 1 located above is the part where voltage changes according to the IR received by IR Receiver. We can utilize this voltage changes to detect whether there is obstacle. IR Transmitter will always transmit IR light (Infrared), it is not visible to human eyes. Since the transmitter and receiver is being arrange side by side, theoretically, the receiver should not receive any or in most cases, it will receive small amount of infrared emitted by the IR transmitter. The working concept of IR receiver is similar to transistor or LDR (Light Dependent Resistor). Just imagine this. Referring to above diagram, the IR Receiver is like a transistor with the ‘base’ controlled by the IR light received. When there is no IR light receive, the ‘collector’ of transistor does not allow current to sink to ’emitter’ further to ground of circuit. It is like very high resistance from ‘collector’ to ’emitter’, blocking current going to ground. In this case, the voltage at SENSOR1 node will be high, near to 5V. When the IR receiver receives more IR light, it changes the resistance at ‘collector’ and allow more current to sink to ground, and this is similar to low resistance at the lower part of the circuit. So if you know the voltage divider formula, I guess you understand what will happen, the voltage at SENSOR1 will drop. can you advise how to interface this IR sensor set to PIC 16F877A. can it react as Proximity Detection (Reflections)? if yes, pls advise how to interface it to PIC16F877A. hi, can the IR sensor be used as vehicle sensor? because i need a sensor to sense the present of a car in my parking lot management system project. what is the output for this sensor ? i replace the ldr sensor to ir sensor and ldr both is use . but only one i/p pin in my ic. our project for sicurity purpose,. hei.. i’m a bit confuse with the diagram that shown above..
if i would like to apply my sensor to my Arduino broad..
is that 330 ohm and also 4k7 resistor necessary for this application ? ?